Netgear Aircard 782s is not the first 4G mobile WiFi hotspot from Netgear. 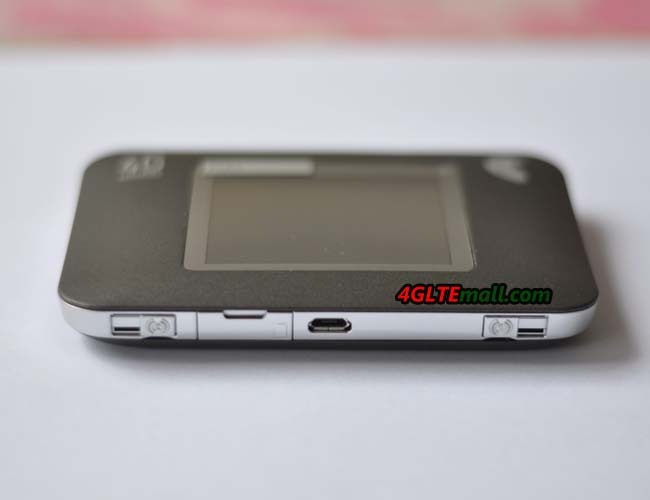 We had introduced the first generation 4G mobile hotspot Netgear Aircard 762s. Now the Netgear Ac782s comes with better and pure LTE technology. 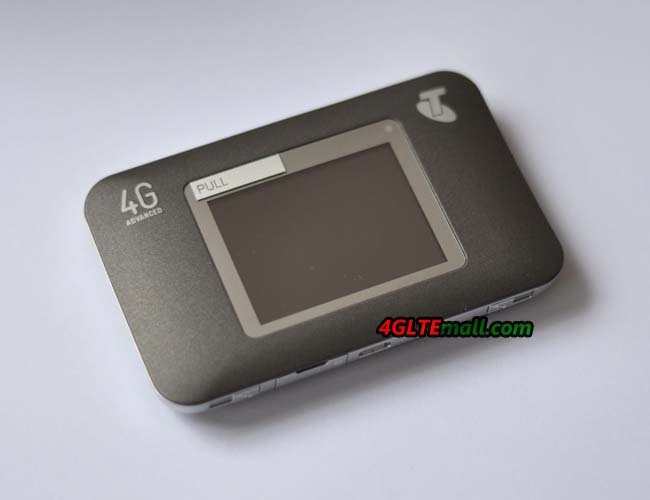 The AirCard 782S, also known as the Telstra Wi-Fi 4G Advanced, so we can see the Telstra logo beside the screen. The AC782S is perfect for mobile lifestyles, surf and stream almost anywhere using the most efficient technology available. We get the Netgear 782s on hand and let’s have a look the features about this new 4G pocket router. Beside the left antenna connector, it’s the slot for SIM card. 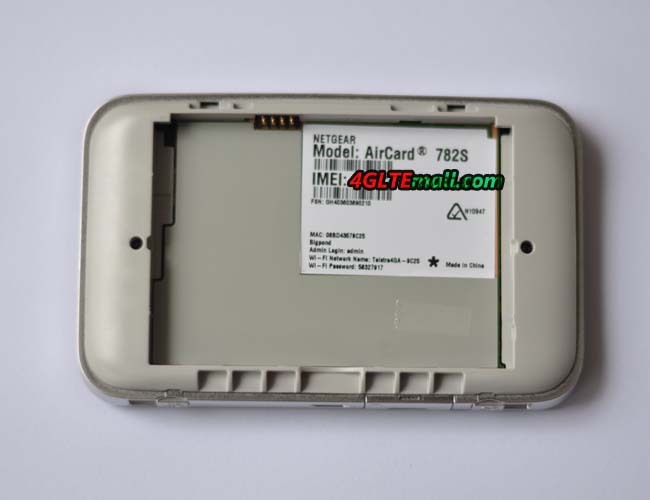 Open the back cover, we can see the battery port for Netgear aircard 782s. There is a stick showing the model number ” Netgear Aircard 782s” and the IMEI number. The Wi-Fi name, WiFi password and s/n are included. It’s a pity that we didn’t find the slot for SD card, we are afraid the Aircard AC782S can’t support SD card sharing. As a second generation mobile hotspot, Netgear AC782S could support new the LTE category 4 technology which could achieve peak download speed to 150Mbps. Based on the Qualcomm MDM9225 & WTR1605L chipset, Netgear 782s could perform well for network connection. Up to 10 wireless terminals could connect to this network for surfing. The WiFi technology could support 802.11 b/g/n with 2 x 2 MIMO on dual band 2.4GHz and 5GHz. Since Netgear 782s was first available for Telstra, it can support all the network frequency bands for Telstra: FDD band 1/3/7/8 (900/ 1800/2100/2600 MHz). And UMTS and WCDMA networks are backword, with the DC-HSPA+ technology, the peak download speed could reach 42mbps on 3G network. As the official sayings from Netgear, the battery capacity of Aircard 782s is 2500mAh, which could support up to 10 hours of active usage and up to 10 days of standby. The battery is removable, if you have a spare battery, you can change the battery when the power is off. Now there is unlocked Netgear 782s available on www.4gltemall.com , you can use other network providers’ SIM cards from Europe and Aisa. It’s a good partner for business trip or tour.